As discussed in my recent blog post, artificial intelligence (AI) is being deployed more often—and by a wider variety of organizations—every day. One reason for this is AI’s ability to humanize technology. I realized how important this could be when watching a friend’s daughter interact with Alexa, Amazon’s voice-controlled assistant. Here was a girl under the age of six who was unknowingly guiding enormous computing power as naturally as talking to a friend. All so she could listen to her favorite Disney soundtrack, of course. We often think about AI in terms of how it is different from us; how it is inhuman. But as I hope to show, it’s how AI can humanize technology that makes it powerful. So it’s clear businesses are already seeing the humanizing benefit of AI, even if they don’t think of it in those terms. To understand how it can bridge the human/machine gap, we have to understand what humans want from AI. 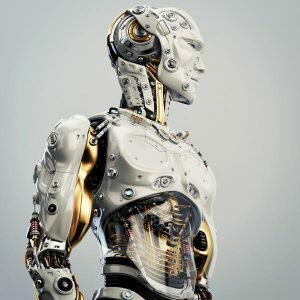 The same survey looked at what businesses hope to gain from AI and found they’re hoping to identify business opportunities, automate rote tasks, improve productivity and compete better with peers. In just one example, 87 percent of respondents working in finance said they would be interested in using AI to automatically generate insights and reporting in human-sounding language. To do so successfully, though, we’re going to have to deploy AI transparently. An inscrutable black box with a human face won’t fool people inside or outside your organization for long. If we are to trust AI with our workloads and our data, we will have to be upfront and thoughtful about very human issues like privacy, depersonalization and job replacement. So let’s say you’re interested in adding some human elements to your website or data analysis. How do you go about adding the AI features you need, like natural language processing (NLP) or natural language generation (NLG)? The key is a high performance computing infrastructure. While you may not need HPC to start with AI, the more you rely on AI, the more its demand for computing power will grow. The fact is that NLP, NLG and other AI systems require robust computational systems to support them. For example, DeepL is a company using a GPU-accelerated 5.1 petaflop system for machine learning and NLP (A petaflop is a quadrillion floating point operations per second. In non-HPC talk: that is an extremely powerful machine). Precision medicine is another great example of using AI to bring extremely complex technologies to bear in a human way. The idea is to put huge amounts of data to work crafting individualized treatments through the use of machine learning. The Associated Press has had success using AI to turn dull and nearly unreadable quarterly business statements into human-language articles. One of the reason for the AP’s success is that this new initiative displaced no humans. AP’s experienced human writers now focus on exciting or newsworthy business articles, leaving the grunt work to the AI. As you look to AI to change your organization, pay attention to the way it can turn data into something we humans care about—and then consider investing in the HPC infrastructure you need to make that human connection possible. Check out the High Performance Computing solutions from SUSE at https://www.suse.com/programs/high-performance-computing/ . Getting Smarter by the Day: How AI is Elevating the Performance of Global Companies, Tata consultancy service, 2017.